This event, moderated by Dr. Steve Nelson, will feature three professors of political science who will share academic perspectives on the rise of authoritarianism and other threats to liberal democracy in the Trump era. Dr. Robert Kulisheck, professor emeritus and former department head of political science will discuss the works of Yasch Mounk, the author of "The People vs Democracy: Why Our Freedom is in Danger & How to Save It". Dr. Kulisheck will talk about the authoritarian populist threat to liberal democracy. Dr. Jonathan Allen will discuss the views of the Russian philospher Aleksandr Dugin on Russian, EU and U.S. Politics. He will also share the insights of Timothy Synder, author of "On Tyranny" and "The Road to Unfreedom." 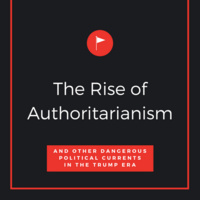 Dr. Carter Wilson, professor and department head of political science, will discuss how the ascension of money driven, polarized and paranoid politics in the 21st centruy has enabled the rise of Trump and endangered our system of liberal democracy. Authoritarianism is not the way to handle someone and the situation. Try to involve and indulge people so that they can work with the motivation and check https://nsw-writers.com/ info for more educational info. Theses wrong trends of politics are increasing rapidly that must be stopped and controlled at this time. Is this the best shiva tattoo https://tattoosboygirl.com/shiva-tattoos/ i have ever seen? Just try to make sure which specifications you are searching for your computer works and how they will be fullfil https://windowsclassroom.com/how-to-get-help-in-windows-10 But I know very well after come here you can understand many of the things which are realted for the computer. Not one (1) speaker on Conservative Politics? ?